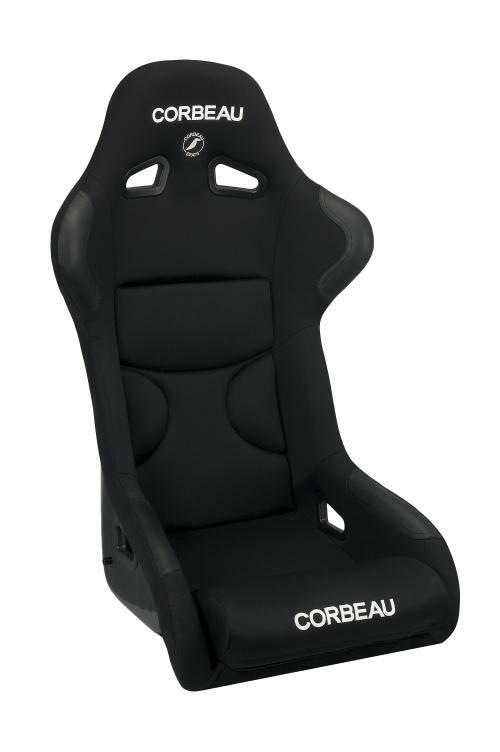 The new Corbeau FX1 Racing Seat is the latest offering in affordable racing seats. The FX1 is a masterpiece in fiberglass composite shell design. Standard features include: fiberglass shell with a black gel coat, removable cushion inserts, full body support, 5-point harness capability and leatherette high wear patches. The FX1 will fit up to a 36-38” waist. The Wide version is 2” wider and will fit up to a 44” waist.